02 Feb Is a Home Addition Right For You? Does your family need more space? As children grow in size and number, many families find that they need some extra room. 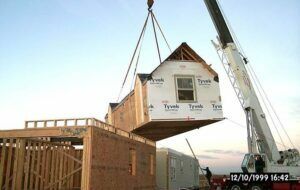 Rather than purchase a new home, you should consider adding a modular home addition to your existing house. For many, a home addition presents a cost-effective option and one that pays for itself by adding to the resale value of your home. 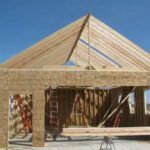 First, you need to decide if a home addition is right for you. How will you use the additional space? Would you like to build a shop or hobby area? Is your mother-in-law moving in? Once you know what your additional space will be used for, you can decide if it fits well with the existing structure of your home. In some cases, you might just want to go with a basement remodel. However, if you plan to house aging parents, basement steps might not be the best choice. There are several things to consider before adding a modular home addition. Will zoning regulations allow you to do so? Are you bound by HOA regulations? 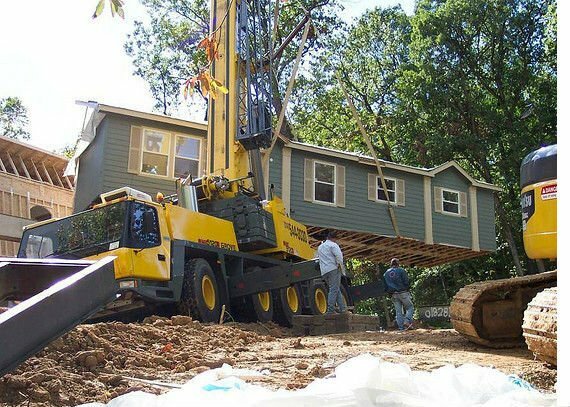 Is there enough room for a crane to set your addition in place? Will the building site need to be excavated before an addition can be placed? 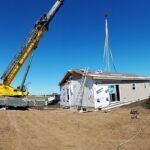 Before you meet with a modular home builder, you should have some idea of how much money you want to invest in your home addition. Many banks will issue construction loans or help you refinance your existing mortgage to pay for the addition. Make sure you allow extra for increased property taxes and insurance on the extra living space. You may need to spend time with your modular home builder to discuss style choices. He can help you find an addition that works well with your existing floor plan. The design should match the architecture so that it’s not obvious that the addition was added after the home was built. Not all builders are the same and the least expensive option is not always the best. Check references and ask for recommendations. If possible, find a local modular home company. Having the builder close at hand often means a more personal approach. They can also help with local zoning restrictions and building permits. For anyone wanting more information on modular home additions in Northern Indiana and Southern Michigan, call Next Modular. We offer beautiful, fully customizable modular homes at an affordable cost. We are a full-service modular home builder, meaning we take care of everything from foundations to garages, and everything in between.